producing winning gymnasts and promoting family values. We’ve been training athletes since 1989. Combined, our coaches have more than 200 years of gymnastics experience. 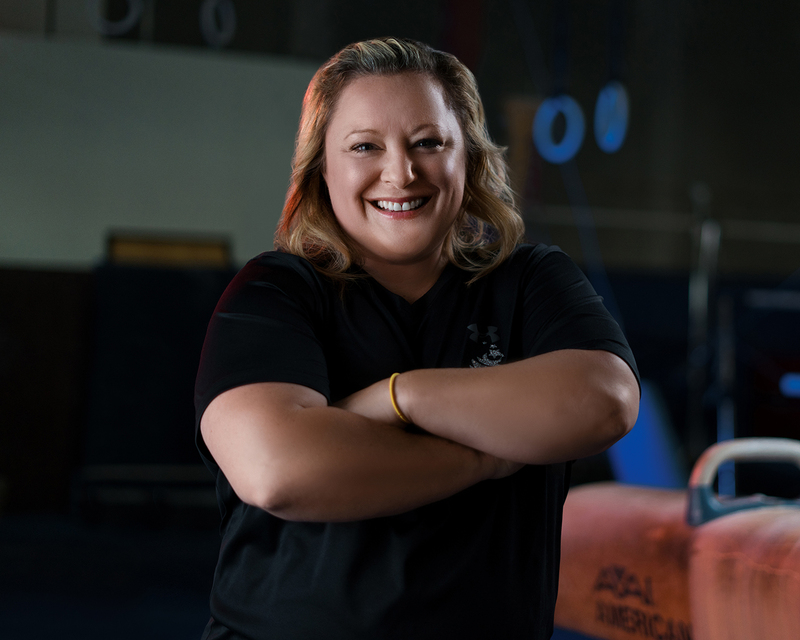 MeJa had never planned to own a gymnastics business, but when the opportunity presented itself in 2004, she couldn’t say no. She has enjoyed a successful career since then and is grateful for the challenges she has faced as a business owner because they have helped her to grow. Prior to owning Flames Gymnastics, her 25 years as a hospice nurse taught her the value of one-on-one contact with people. She loves working with young athletes and her biggest goal to help teach them how cope with life’s challenges. She believes active listening, positive motivation, and high standards are keys to achieving excellence. 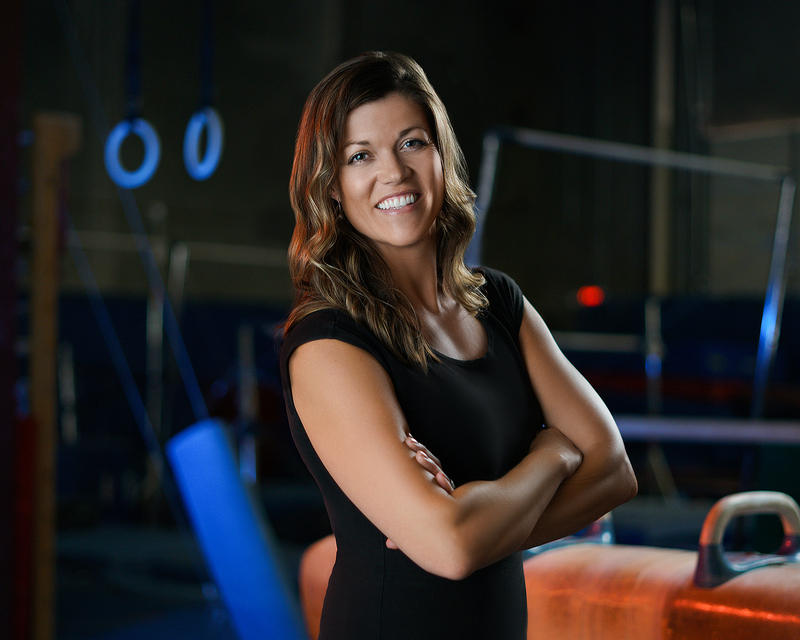 Codee was a gymnast for 13 years before retiring her grips and turning her love of gymnastics into a coaching career. Coaching has presented Codee with many opportunities to overcome challenges and learn from other experienced coaches in the region. She is a girly girl and a licensed cosmetologist who loves to pamper people. In fact, Codee regularly provides hair and make up styling for Flames competitive gymnasts before competitions. She loves combining her two passions – beauty and gymnastics. In his 7 years as a competition gymnast, Toby competed all the way up to Level 10 and at one time even received a score of a Perfect 10 at competition. 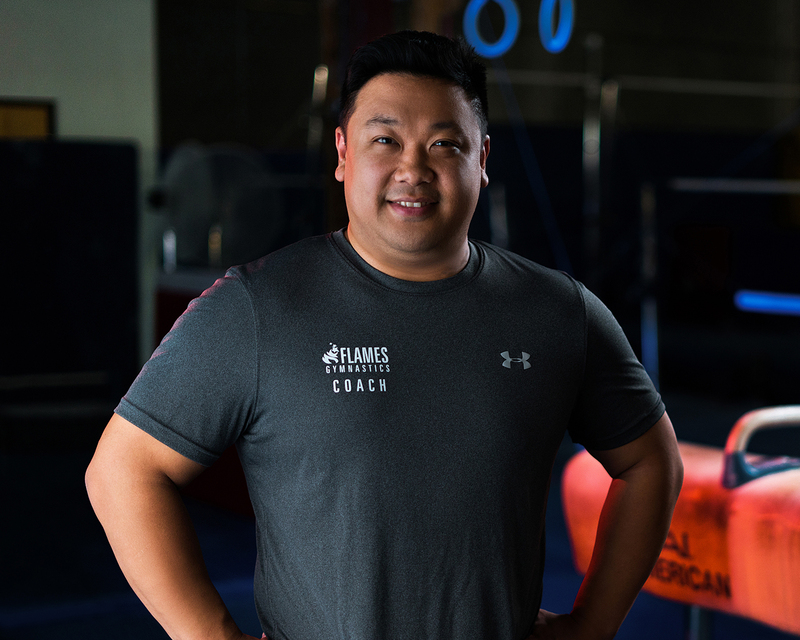 He recognizes gymnastics as a diverse, challenging sport that is never boring and he devotes much of his personal time to working out in the gym and expanding his gymnastics skills. From ages 8-10 he was a nationally ranked ping pong player and in high school, he was a track and field state qualifier and won 2nd place in diving at state his senior year. He is always on the go, enjoys playing disc golf and growing his second career as a sushi chef in his spare time. Jason was a competitive gymnast for 11 years, winning state championships as Level 10 and representing the state of Arizona in multiple levels at regional championships. 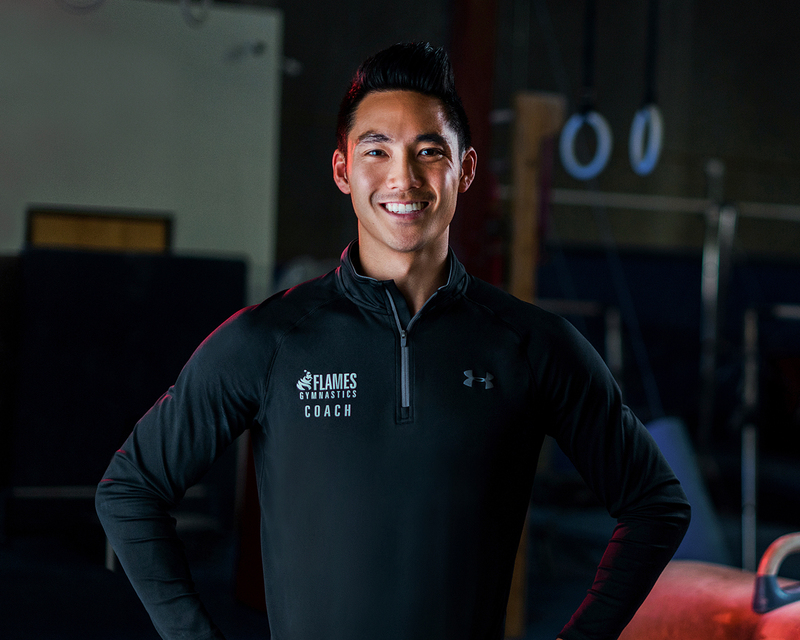 He began coaching at age 14, teaching Kindergym through Level 2. 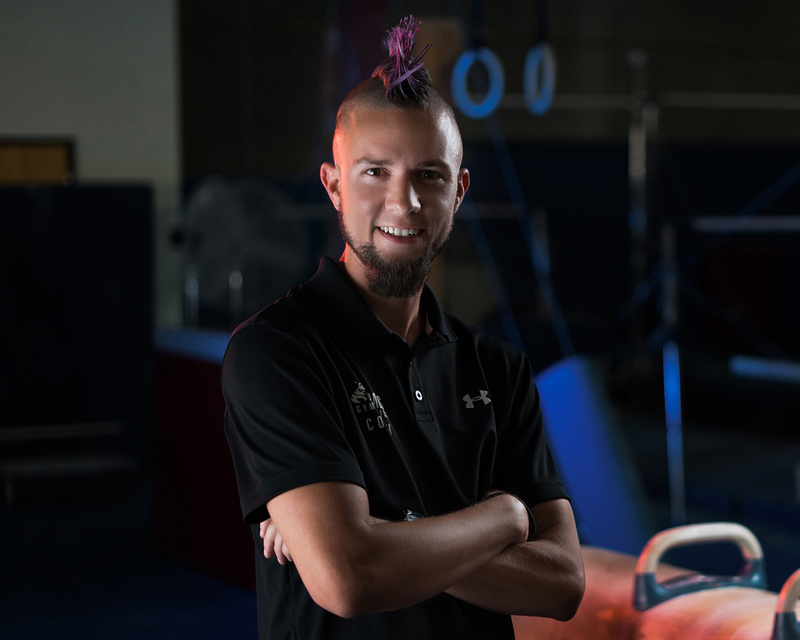 Throughout his career, he has taught both men and women’s gymnastics all the way up to Level 10. In his spare time, Jason enjoys fishing and free diving as well as his second career as a sushi chef. Alanna grew up in a small town in central California. When she asked to start gymnastics, she had no idea how much she would enjoy it or how much her parents would sacrifice over the years- commuting 50 miles each way to practice everyday. While she worked her way up to Level 10, she enjoyed coaching preschoolers and peers, and believed she would go on to compete at the collegiate level until an unfortunate biking injury. After moving to Arizona, attending college, and becoming a Registered Nurse, she met her husband and began a family. She and her husband have four kids- one whose interest in gymnastics brought Alanna back to the sport. She coaches now because she loves the girls who love gymnastics. As a gymnast, she loved bars but beam is now her favorite event to coach – a unique game of mental toughness and confidence. 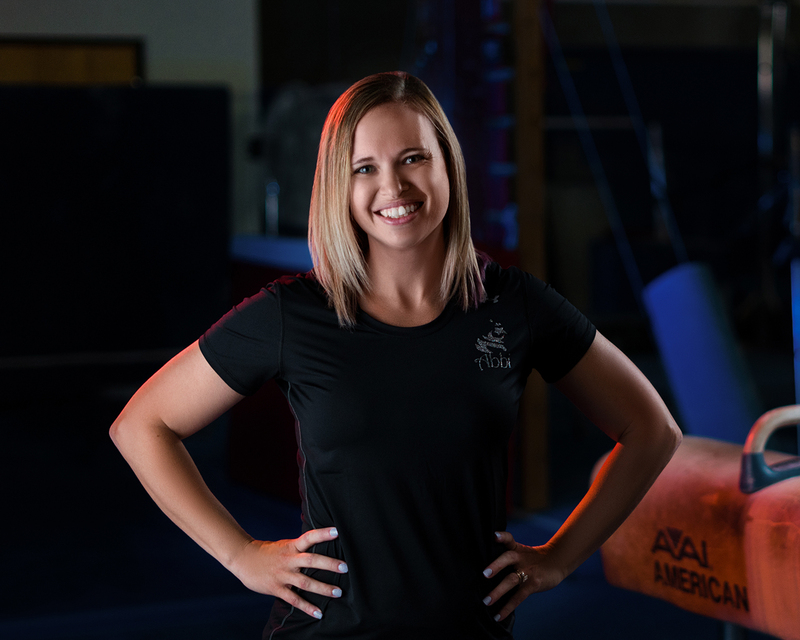 She believes her life experience as a gymnast and a mom intersect as she works with the girls and enjoys this opportunity to coach gymnastics again. 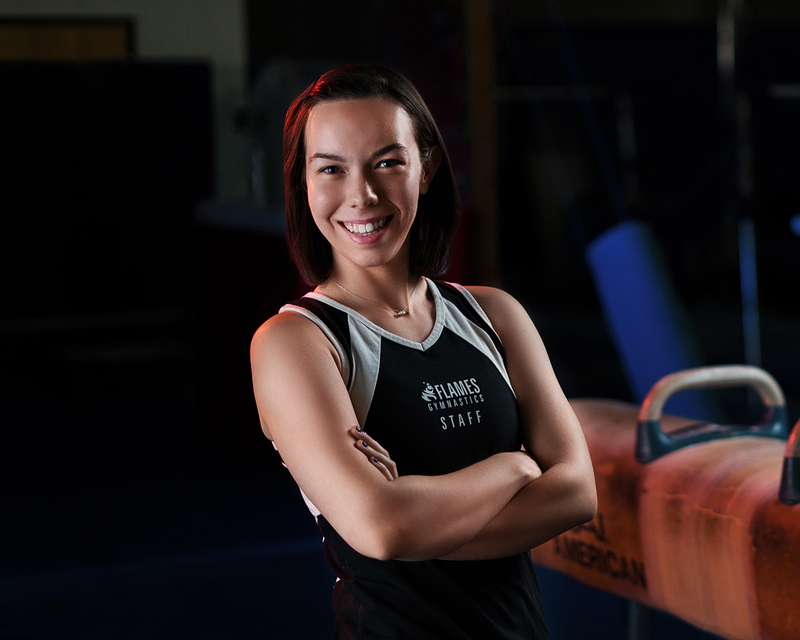 Mika started gymnastics at age 5 and continued on through college where she was awarded a full athletic scholarship to Southern Utah University. Her father’s career in the air force made moving from state to state the norm growing up and created the opportunity for Mika to learn from many different coaches- 22 to be exact! This exposure to different coaching styles and techniques led her to transition from gymnast to coach very naturally. Mika decided to pursue coaching at an early age because of her love and passion for the sport. She has been coaching for over 30 years and was also a Level 10 rated judge for over 20 years. She enjoys being creative to give more dimension to the drills, skills, progressions and routines. Her love of choreography and creative movement continue to drive her to think outside the box. Her personal interests and hobbies include spending time with her family and friends around the pool as well as crafting, sewing, reading, dancing, shopping and listening to music. Missy has participated in gymnastics since she was 8 years old. It was then that she fell in love with gymnastics. As a gymnast, she loved beam, tumbling, and the challenge of learning new skills. 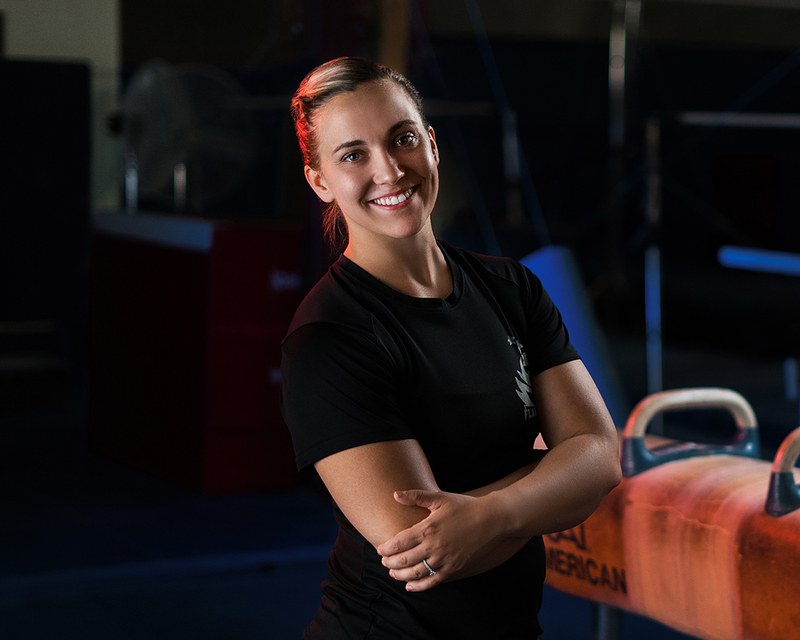 Her love for gymnastics led her to continue her passion as a coach. 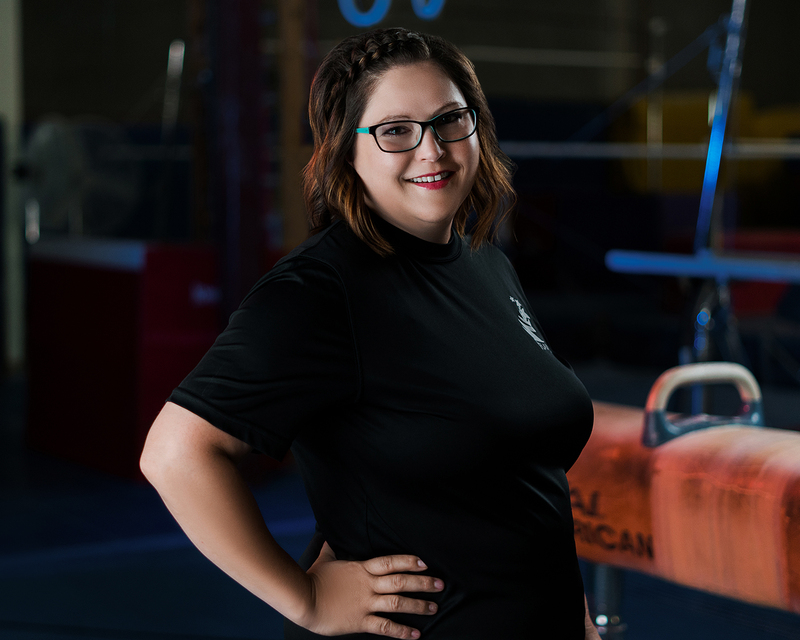 As a coach, she loves working with the kids and watching them progress and grow in their skills, and she hopes to nurture the love of gymnastics within them. Throughout her years of coaching, she has learned the importance of being a strong, positive influence to help each child achieve their full potential. She strives to inspire a happy and memorable experience that they will cherish for a lifetime. While attending college and working, Randy was trying to get into the entertainment business as a stuntman, actor, and model. To expand his stunt skills for movies and commercials, he began training at the Santa Barbara Gymnastics club, trading his coaching skills to help pay for instruction. It was then that he began coaching gymnastics then and he has loved it ever since. 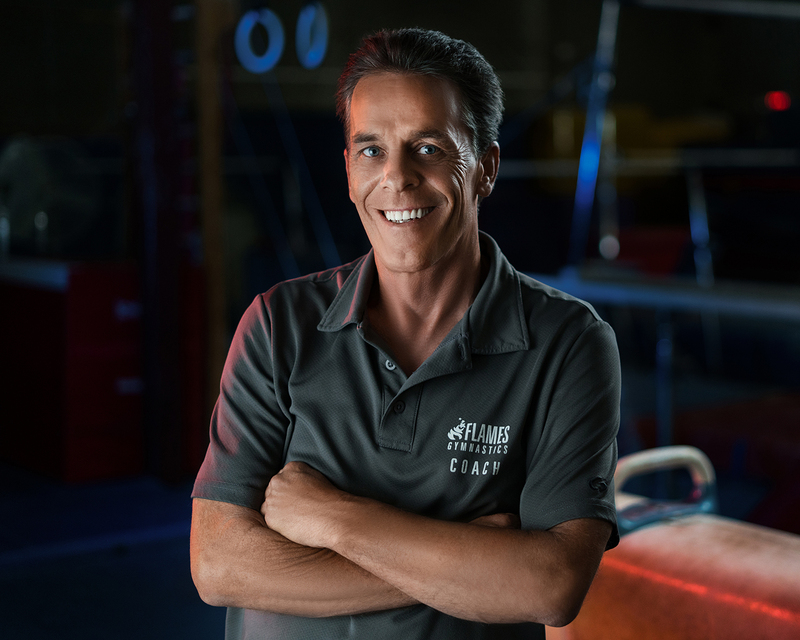 Over the years, Randy has coached for and received recognition from several reputable gymnastics, dance, and performing arts establishments in California and Arizona, including his own private coaching business, working with the rich and famous in Montecito Santa Barbara, CA. He has been coaching at Flames Gymnastics since 2005. Brett has been coaching gymnastics since 2000. 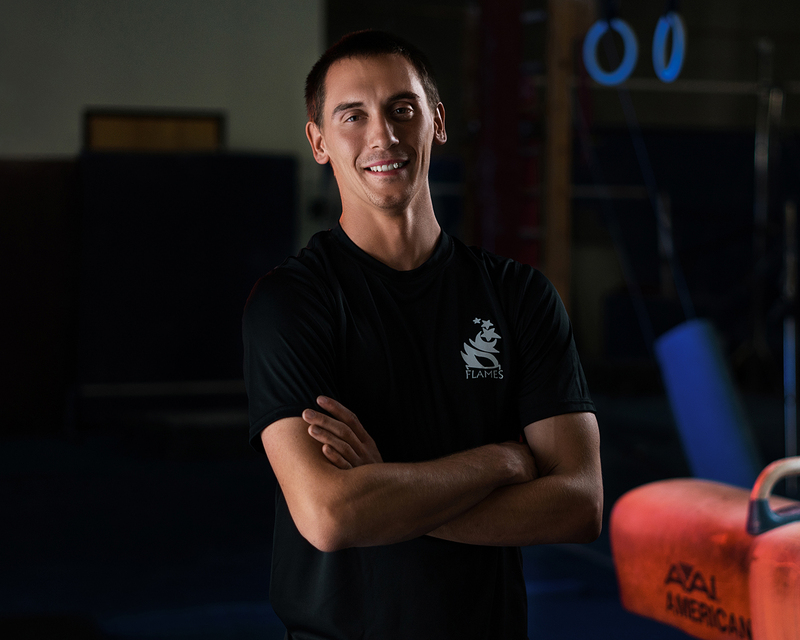 He coaches men’s, women’s, trampoline, tumbling, crossfire, ninja warrior, and martial arts. 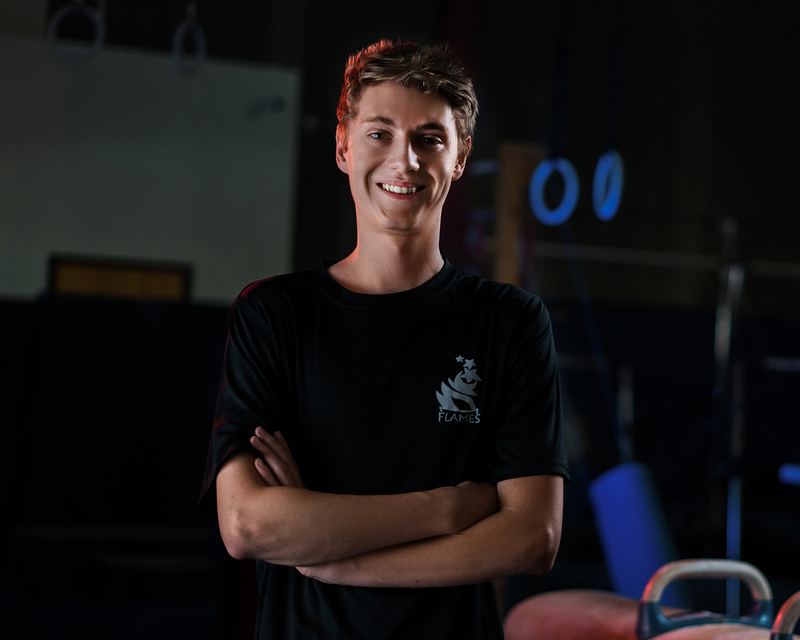 Brett’s favorite event is the Uneven Bars and he loves coaching because for him, there is nothing like helping someone achieve a goal that takes years to reach. Gymnastics has always held a special place in Abbi’s heart. 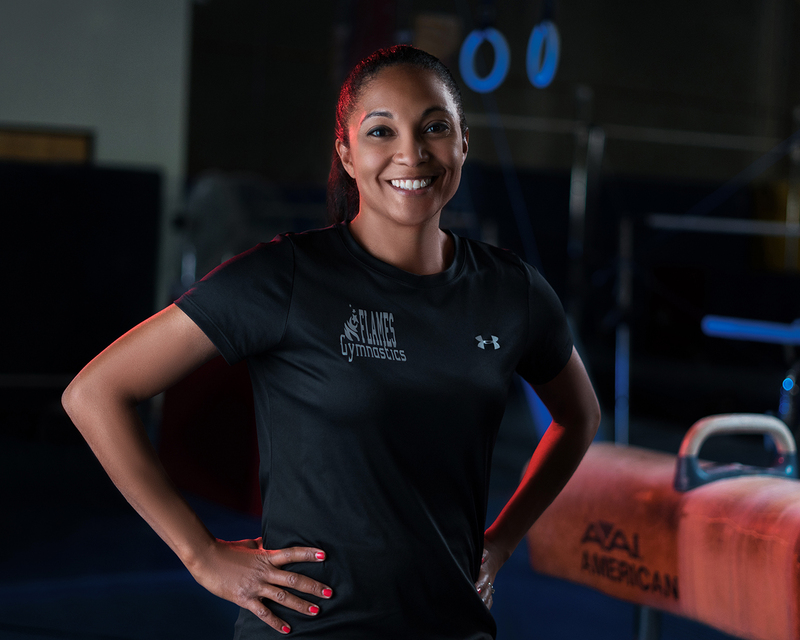 She started classes in gymnastics classes at the age of 3 and later competed for Arizona Sunrays. Even after her gymnastics days were over, she continued to follow and love the sport of gymnastics. 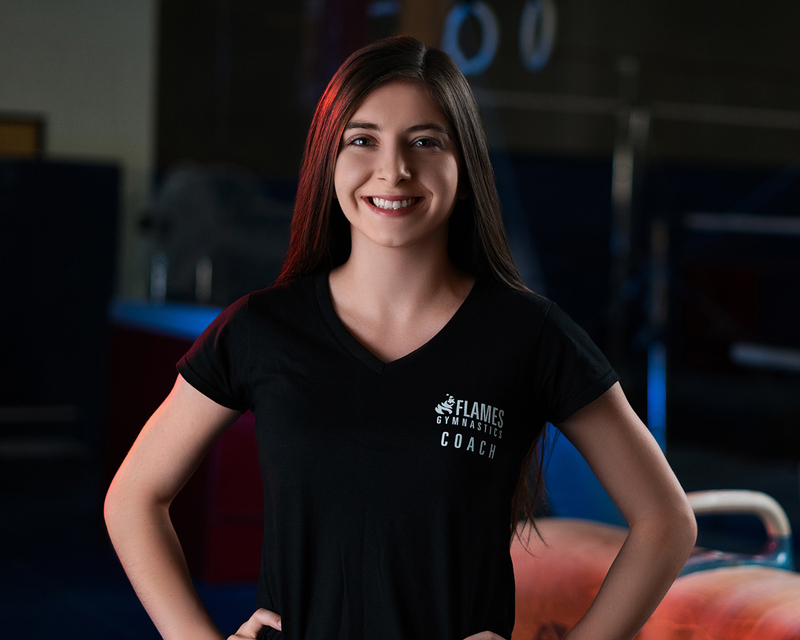 Becoming a gymnastics coach felt like a very natural step in her life and she’s enjoyed coaching at Flames Gymnastics Academy for the last 4 years. She has a strong passion for teaching and developing compulsory skills and forms; creating a solid foundation for every gymnast to have a successful gymnastics career. Stacie has a passion for gymnastics! She was a competitive gymnast for 17 years and grew up at Flames gymnastics for the first 10 years of her career. She placed multiple times at State, was on the Level 8 AZ State Team, and received 2nd place AA at Western Nationals as a Level 9. Stacie went on to college at University of Wisconsin-Oshkosh where she was a two-time All American. Stacie has her Exercise Science degree and coaches Crossfit when she is not coaching gymnastics. Throughout her 10 years as a gymnast, Michaela learned the importance of teamwork and working hard while still making gymnastics fun. She became a coach to instill those same values into future gymnasts. She has been coaching for two years and homes to continue coaching for many more. Michaela is currently a student at Grand Canyon University, studying Secondary Education. Nicole has been teaching preschool and recreational gymnastics for two years and has recently expanded into coaching developmental levels. 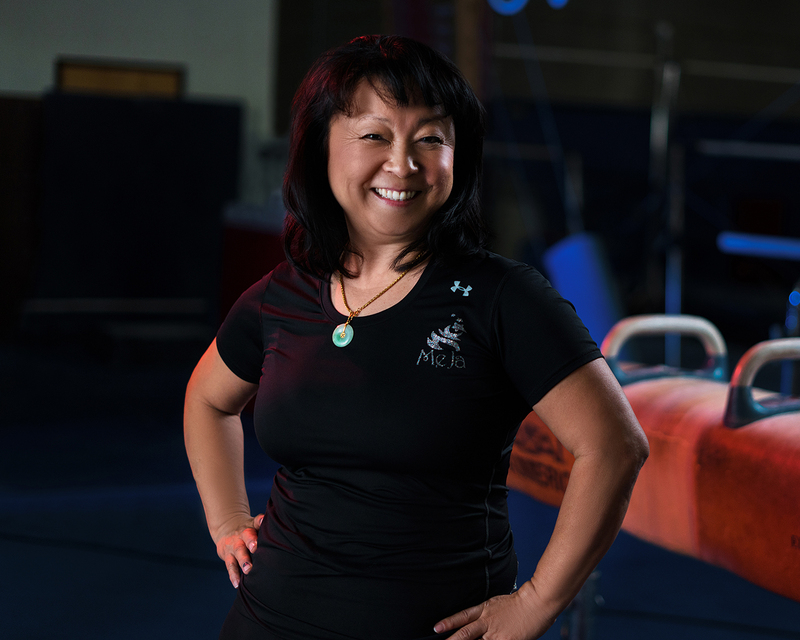 Although she has spent many years working in a different field, she developled the desire to coach gymnastics after discovering the joy of watching her own children grow and develop in the sport. She finds it extremely rewarding to walk alongside gymnasts as they develop life skills and to assist and encourage them as they work hard to achieve their goals. Her greatest job in coaching is sharing in the excitement when a child correctly accomplishes a skill for the first time. with the highest quality gymnastics instruction. but also to develop the life-long skills of self confidence and good character.